True to its commitment to enhance customer satisfaction and continuous demand for adding more Toyota QDR products, Toyota Kirloskar Motor has added more excitement to the product portfolio under ‘Drive the Nation’ campaign. The company has now included its latest offering Toyota Yaris in the special sales initiative catering to Government employees (center and state) and Defense personnel. The campaign, which has been highly appreciated by customers across India for its customized offers, previously included the Innova Crysta, the Etios series and the Toyota Corolla Altis through various phases of the campaign. Launched in the month of May 2018, the versatile and reliable sedan - Yaris offers 11 first-in-segment features such as the Power Driver Seat, 7 SRS Airbags, Roof Mounted Air Vents, Tyre Pressure Monitoring System, Front Parking Sensors, CVT across all grades and more. 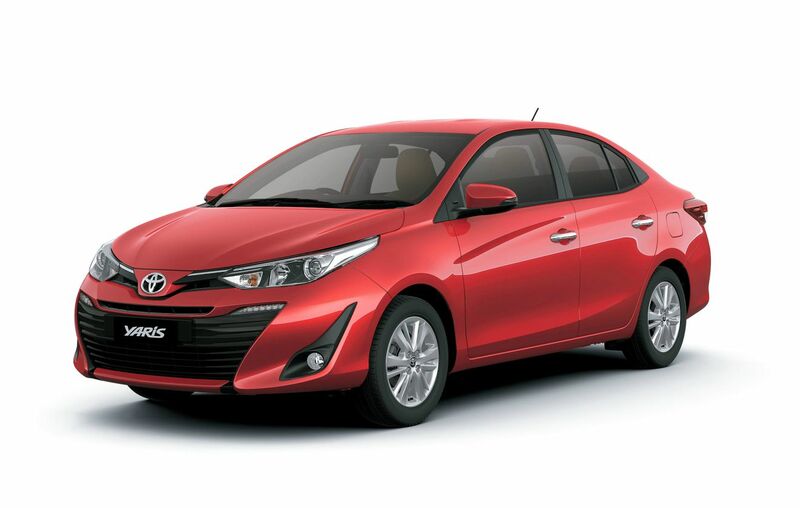 Toyota has always strived to keep up with the evolving customer needs and with the Toyota Yaris the company has ensured that it offers unbeatable safety, comfort, quality and excellent ride handling with advanced and emotional design elements. Testament to its success ‘Drive the Nation Campaign has contributed to 13% of TKM personal segment sales over the last year. The initiative has garnered overwhelming response from customers in all the extended phases. This consistent positive demand encouraged the company to further upgrade the offerings as per changing needs. Rolled out in 2016 in-line with Toyota’s customer first philosophy, a driving force behind all innovative products and services, “Drive the Nation” campaign offers a range of benefits starting from affordable funding solutions focused on low customer acquisition cost, attractive offers on Toyota Protect Insurance and Toyota Genuine Accessories and unmatched extended warranty. Drive the Nation scheme presents a 100% On Road Funding for a tenure of 8 Years for serving and retired government employees with Zero Down Payment and Lowest EMI. “Drive the Nation Champions” have been appointed in each of the sales outlet of Toyota in order to give dedicated attention to all government employee enquiries. This promotional offer will be supported through Toyota’s large sales and service network spread across the country. Speaking on including the Yaris under this scheme, N Raja, Deputy Managing Director, Toyota Kirloskar Motor Pvt. Ltd said, “We are pleased with the overwhelming response that the ‘Drive the Nation’ campaign has generated since its launch. Our idea to include products that suit our customers’ requirements led us to believe that the Yaris was a perfect fit given its advanced emotional design, superior comfort, ride quality, dynamic efficiency and class-leading technology and safety. Also, the inclusion of our latest offering is Toyota’s way of staying true and relevant to the dynamic customer’s needs and strengthen the emotional bond.